If you've been fighting a losing spiritual battle, it's time to give up. Bow the knee. Wave the white flag. And turn yourself over to the King of kings. The truth is, your salvation,your initial 'surrender' to Christ,was just the starting point. 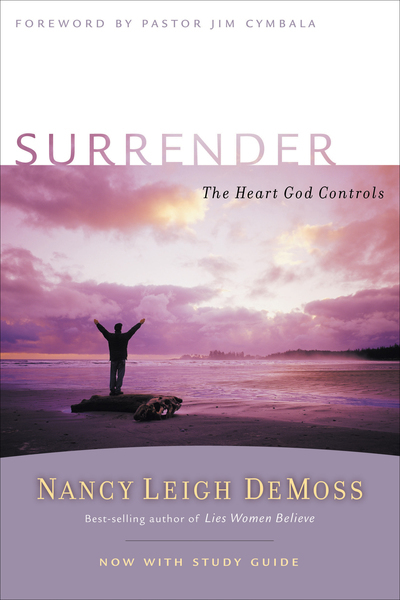 You will never know real joy, real peace, real success until you learn what it means to live a fully surrendered life,to continually say 'no' to self and 'yes' to God.Choosing the pathway to full surrender will transform your perspective, set fire to your soul, revolutionize your life, and give the spiritual victory you have sought for so long.The Revive Our Hearts Trilogy - Now in Paperback!This bestselling series by Nancy Leigh DeMoss has sold well over 80,000 copies! All three titles now include study questions at the end of each chapter, making them ideal for personal or small group study.